First, it needs to be noted that Horta was not the first choice of a majority of East Timorese. He scored less votes that FRETILIN’s Luolo in the first round: 23% to 27%. In terms of the balance of firm supporters for Horta versus for FRETILIN, it appears fairly evenly balanced. In addition, other parties such as the Democratic Party, led by Ferdinand Araujo, had scored 18% and the Timorese Social Democratic Association (ASDT) received 11 %. A number of smaller parties also received votes. The elections have revealed that there is no leader or leadership group which has the overwhelming confidence of the people. At the same time, the second round represents an overwhelming rejection of the FRETILIN wing of the political elite. It needs to be also noted that this is the first real contest between the two wings of the older generation of the Timorese political elite, the long-term leadership of the nationalist movement. In the first elections in 2001, there was no contest between these two groups, namely, the axis between Xanana Gusmao and Jose Ramos Horta on the one hand and the FRETILIN leadership, under Mari Alkatiri, on the other. What lies behind the tensions between these two groups? The division – ay least since the 1990s – has not been ideological. Gusmao, Horta and Alkatiri were all leaders of FRETILIN in 1975. The division between them emerged over tactics in the 1980s and 1990s and the way tactics tended to marginalise one group. Gusmao became head of FRETILIN in the 1980s. At first, he tried to organize it into a disciplined Left party, changing its name from FRETILIN to FRETILIN (Marxist-Leninist). Later, allegedly under advice from Horta, he dropped this and headed in a new direction. He adopted the strategy of trying to re-organise the resistance against Suharto’s military occupation under a new organization, the National Council for Maubere Resistance (CNRM), later renamed the National Council for Timorese Resistance (CNRT). Formally this was an umbrella organization involving FRETILIN as well as its long-term rival, the Timorese Democratic Union (UDT), which had originally leaned more to preserving connections with Portugal. In practice however, the formation of CNRM came in the aftermath of massive devastation of FRETILIN and its armed wing, FALANTIL, under the ten years military onslaught by the Indonesian army. CNRM developed as an organization with its own apparatus, and recruited new young people on a new ideological basis – Timorese nationalism minus any specific party identification. Ideological debate and discussion was discouraged in the name of unity. Thought about the future of East Timor was confined to agreement to adopt the basic United Nations declarations on human rights. FALINTIL, the small guerilla group of FRETILIN, was reorganized to be under CNRM rather than affiliated to FRETILIN. The CNRM initiative was primarily an initiative of Gusmao and Horta. Gusmao, later captured by the Indonesian army, spoke in the name of CNRM. Outside of East Timor, Horta was the main spokesperson for CNRM, with CNRM representatives in many countries. In Portugal and Australia, however, FRETILIN did maintain a real and separate existence. The FRETILIN leadership-in-exile deeply resented the emergence of CNRM or, at least, some of the concessions Gusmao and Horta had made to UDT. In particular, the proclamation of independence made by FRETILIN, with mass support, in 1975 was annulled. UDT had never accepted that proclamation. CNRM’s diplomatic strategy was based on accepting that the process of self-determination had not been fully carried out. CNRM campaigned for a referendum on independence which required the acceptance that the 1975 proclamation was not applicable. The FRETILIN leadership’s alienation from the Gusmao-Horta CNRM leadership was also manifested in a mentality that assumed that FRETILIN, which had won majority support from the masses in 1975 as the leadership of the independence struggle, was guaranteed that popular support forever and that FRETILIN would almost automatically have overwhelming support – without having to rewin that support, without having to rewin authority. Later, in government, this gave rise to a number of decisions which over-reached the real authority that FRETILIN had. After the 1999 referendum and the opening up of the political transition process, CNRM, formally an umbrella organization, was disbanded. Gusmao and Horta made no effort to establish political parties of their own. At the 2001 elections there was no serious contest between these two rival wings of the elite. FRETILIN did not put up a candidate against Gusmao for the presidential elections. In the parliamentary elections, neither Gusmao nor Horta, without a party or parties of their own, waged an alternative campaign against FRETILIN. Activists from nationalist student groups, such as Ferdinand Araujo from RENETIL, did start a party which contested elections as did one of the founders of FRETILIN, Xavier Amaral. But in 2000-2001 these were still early challenges. FRETILIN, although predicting a 80% landslide, won just over 60% of the vote. FRETILIN had started to rebuild its party structure. Some sections of the old CNRM joined. Just what the actual basis of overall recruitment and membership organization is still unclear to me. However, there is little evidence to point to that there was any substantive ideological content to FRETILIN’s appeal. It appealed primarily on the basis of its historical role. In the absence of Gusmao and Horta trying to rival FRETILIN after 1999, FRETILIN established itself as the largest party – but with what level of commitment and ideological depth. The results of the Presidential elections reveal that this was always weak. FRETILIN did have a majority in the parliament and constituted the government up until now – although it had to incorporate Horta into the government, first as Foreign Minister and then as Defence Minister and Prime Minister. However, FRETILIN supported him in this category after the April 2006 crisis on the condition that he met weekly with the FRETILIN national leadership. Both these wings of the Timorese elite were Timorese nationalists with an ideological orientation to establish a capitalist, “welfare state” system in East Timor. 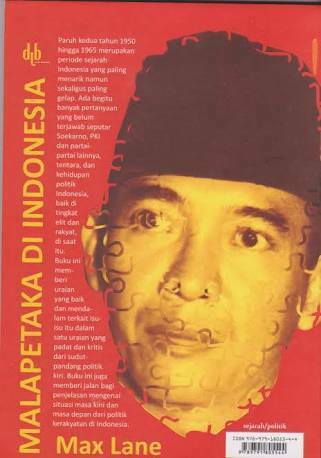 In a congress in Sydney after the fall of Suharto, FRETILIN had seriously watered down its original socialist leaning programme. 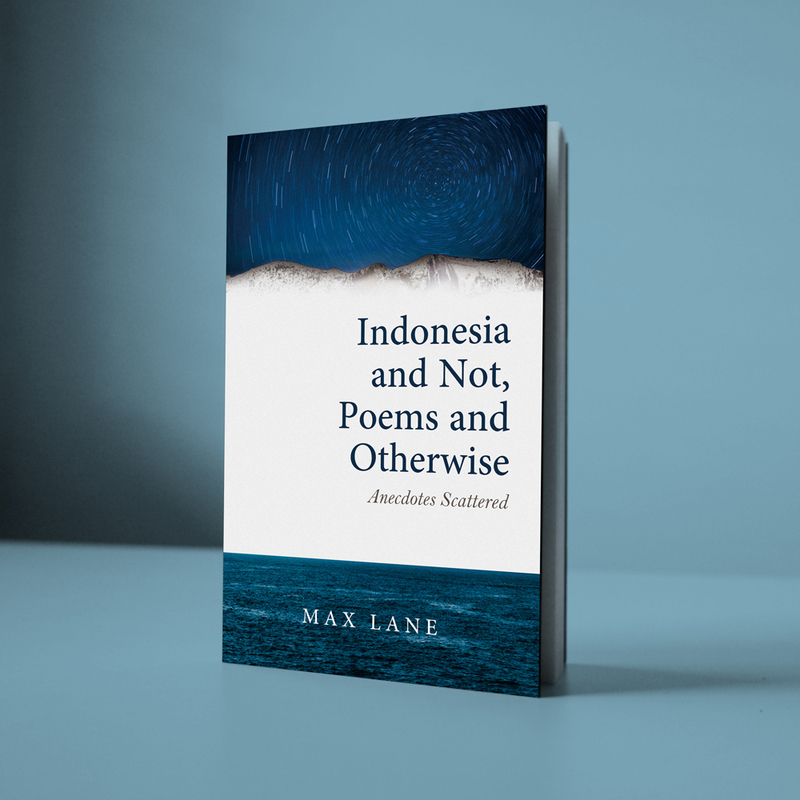 It had diminished the significance of the concept of “maubere” – similar to the Indonesian “marhaen” – referring to the oppressed and exploited masses of East Timor. It moved to be able to present itself as an acceptable government to the major donor institutions. In government, it won the praise of the IMF and World Bank. At the same time, both wings, for example, have so far been reluctant to get East Timor into debt with foreign institutions. East Timorese foreign policy, with Horta as Foreign Minister, has attempted to build connections with the Portuguese speaking world, China and the UN as well as Indonesia and Australia – its two either huge or wealthy neighbours, both of whom had revealed themselves as willing to act against Timorese interests in the most brutal ways. In April, 2006, the Alkatiri government dismissed 600 soldiers for protesting over what they felt were patterns of discrimination and favouritism in the army. Legally, the soldiers were acting mutinously and the government had the legal right to dismiss them. But the action was met with a hardening of the soldiers’ response, demonstrations and clashes with the police and other sections of the army. In reality, the FRETILIN government, in the process of establishing a new state, had not won the authority to settle this dispute by administrative fiat. The army and police broke-up, tensions between people from the east and the west of East Timor, gang conflict, and social disorder over-took the country, especially Dili. The President (Gusmao), President of the Parliament (FRETILIN – Luolo) and the FRETILIN Prime Minister Alkatiri – had no choice but to ask for international help, including the use of Australian Army and police. The state no longer had any means of coercion. These events sharpened the divisions between the two wings: again not on ideological issues but around state-building competence, in particular how to build a new state to manage a capitalist society, where the political leadership had only weak authority over the people. In Australia, the Australian political elite favoured Gusmao-Horta. One reason was no doubt that Horta was easier to get along with, while Alkatiri had a less conciliatory personality – in dealing with anybody and everybody. The crucial question was which wing could achieve and maintain stability of a capitalist society. However, the battle since then has played out without the Australian elite or state playing much of a role. Despite favourable publicity in Australia, Horta still only scored 23% in the first round. Publicity in Australia is of little importance in the towns and villages of East Timor. In the first round of the Presidential election, the campaign appeared to be devoid of much discussion of policy. The two major contenders, Horta and Luolo, both based their campaign on general claims that they would restore stability and security. The first round then revealed the reality, that neither had anywhere near a majority support; neither were in a position to simply rest on the authority they may have thought they had won during the struggle for independence. Horta would have also been shocked by his low vote in the first round – initially he talked about possible voting irregularities. Unlike FRETILIN, however, he clearly saw that it was going to be necessary to offer something to people if he was going to win. FRETILIN seemed to simply stick to its guns, defending everything it had done, offering nothing new at all. There were two areas where Horta could make some policy offerings to win support. The Socialist Party of Timor (PST), which won just under 3% in the first round, while not being able to dent the votes of the big parties, had been able to get out a message raising the issue of the need to use Timor’s oil and gas income to boost agricultural production; to provide inputs for farmers and to guarantee prices for farmers. Other parties had also raised this, though with less clarity on how to use the money. Horta also took up this issue, criticizing FRETILIN for being unwilling to do this. Luolo, it appears, responded by defending the policy of investing the earnings as a long-term investment as fiscally responsible and “fiscal best practice”. Horta campaigned he would be a President for the poor. He also promised to use the money for education and health and to establish pensions for older people and veterans. A second possibility required getting the support of the Democrat Party (PD), led by Ferdinand Araujo, a former student leader from RENETIL. I don’t understand much about the PD or what it is. Its formal program seems to be a mixture of liberalism and social democracy, but what it is and what it does on the ground is still not clear to me. Some commentators classify it as “right wing” others as “liberal democratic”. One thing does seem clear, however, namely that it is stronger in the poorer western part of Timor (- not that eastern East Timor is rich). I have heard reports that their first round campaign rested on some appeal to sentiments connected to feelings that the western region had been neglected. The PD had also been calling for a halt to the army operations, under Australian command, against Major Alfredo Reinado, who was from the western region. Horta’s second round campaign won the support of all but one of the 6 candidates who stood in the first round, including the support of the PST. (See separate post). FRETILIN received the support of the two most right-wing but tiny parties, including one that campaigned for restoration of the system of hereditary kings. Horta’s victory settles little – apart from indicating that FRETILIN will need to drop its approach of thinking it does not have to re-win its popularity or authority. According to PST leader, Avelino Coelho, FRETILIN has used gang elements to try to frighten people into voting for them. In his campaign, Horta has committed to being a “president of the poor” and of increasing public spending on health, education and agriculture. As far as I know, he had not raised criticism of the government’s approach on these issues prior to the campaign. Although I had heard reports that he was already thinking about the idea of a large-scale pension system for veterans and elderly people, which was also being proposed by foreign financial advisors as a way to inject money into the economy without actual state “interference” in the economy. If he does not support moves in this direction far enough and fast enough, then he may well suffer the same fate as FRETILIN. Also a lot will depend on how the parliamentary elections shape up. In the East Timorese system, the President has minimal powers. Even as head of the armed forces, the President is obliged to act in coordination with the Prime Minister, who must have a majority in the parliament. Real executive power is in the hands of the Cabinet. FRETILIN, CNRT, PD, ASDT, PST, UDT and several other parties, including some completely new parties will all probably contest the elections. One possible consequence of the 2nd round of the Presidential elections is that issues connected to strategies for economic development may be more at the centre of things. The low votes for all candidates in the 1st round has revealed that no one person or group can assume majority support. This may also apply to the icon of the East Timorese national liberation struggle – Xanana Gusmao. The situation remains very fluid: parties and leaderships presenting a consistent programme of organizing the people, of arguing for self-organisation, cooperatives and policies aimed at the urgent increase of incomes and productivity will have opportunities to strengthen their position in the coming period. I think it can be said that the political authority of the leadership of the national liberation movement in East Timor has always been weak – at least since the 1980s. There are a number of reasons for this. 1. Most of the original leadership in East Timor had been captured or killed during the first ten years of the Indonesian occupation. 2. After a brief period of urban mobilization of youth during 1990-1991, political organization and mobilization after the Dili massacre became almost impossible. 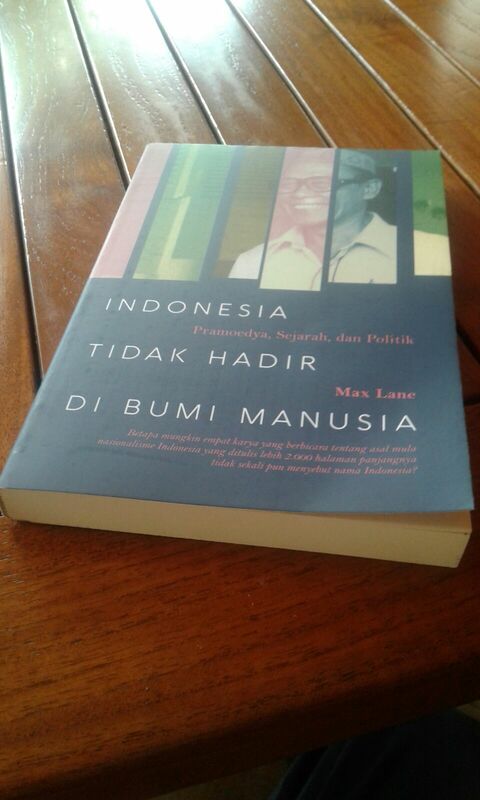 The density of Indonesian army presence and the level of repression made it impossible. The basic activity of the national liberation movement was to organize couriers taking clothes and medicines to the guerillas in the bush. The FALINTIL guerillas were also very small in number and unable to move very freely. There was very little explicitly political activity, even underground. No figure of any authority has emerged from the movement within East Timor during the 1990s. 3. Most mobilization was of East Timorese in Java, who carried out a series of sit-ins in foreign Embassies. These were carried out with the logistical support of the Peoples Democratic Party (PRD) and, to a lesser extent, the activist group PIJAR. This was the period when Xanana was in prison in Jakarta and had some means of communication with people outside. However, there was a heavy emphasis, as a part of the CNRM perspective, of discouraging ideological discussion. Xanana’s own authority is tied to the successes of CNRM’s tactics and the symbolic importance of an imprisoned leader. His authority is not based on any ideas which people had come to support. 4. Other leaders were outside the country. Most people knew of Horta or Alkatiri outside the country via Portuguese language radio broadcasts. 5. RENETIL and other student leaders had the opportunity to win some authority, either in Java during the 1990s or during the interregnum period after the fall of Suharto, 1998-1999, in East Timor. But they later dispersed into a myriad of networks. Ferdinand Araujo, PD leader, comes from this sector. In addition to this, the lack of communications infrastructure, the national leadership has had little means to reach the majority of the rural population except through traditional patron-client communication networks. After 1999, nobody in this national leadership grouping adopted a strategy of mobilization. The first real political mobilization since 1990-1999 took place during 1998-1999 leading up to the very impressive turn-out for the 1999 referendum. But even during this period, the leadership (outside students and the PST) tried to hold back mobilisational politics. After the referendum, the model adopted was the traditional passive parliamentary system.